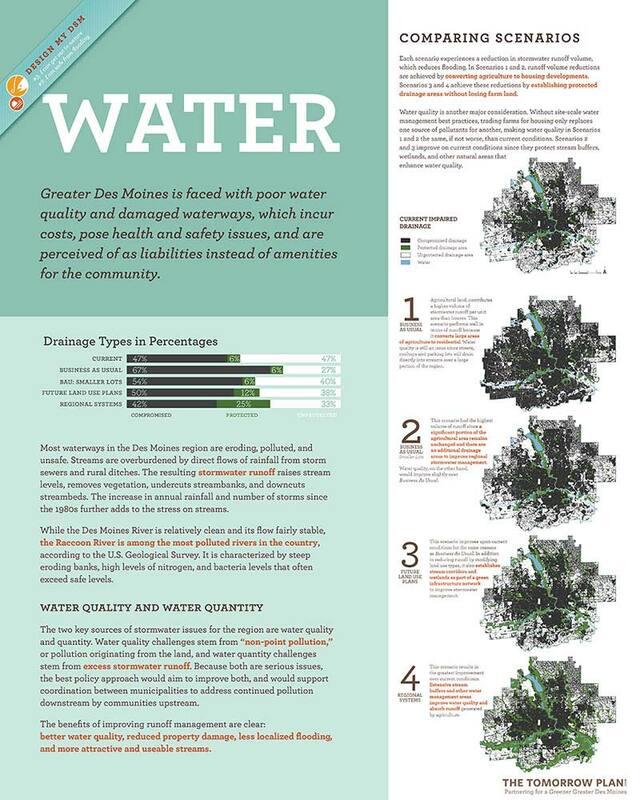 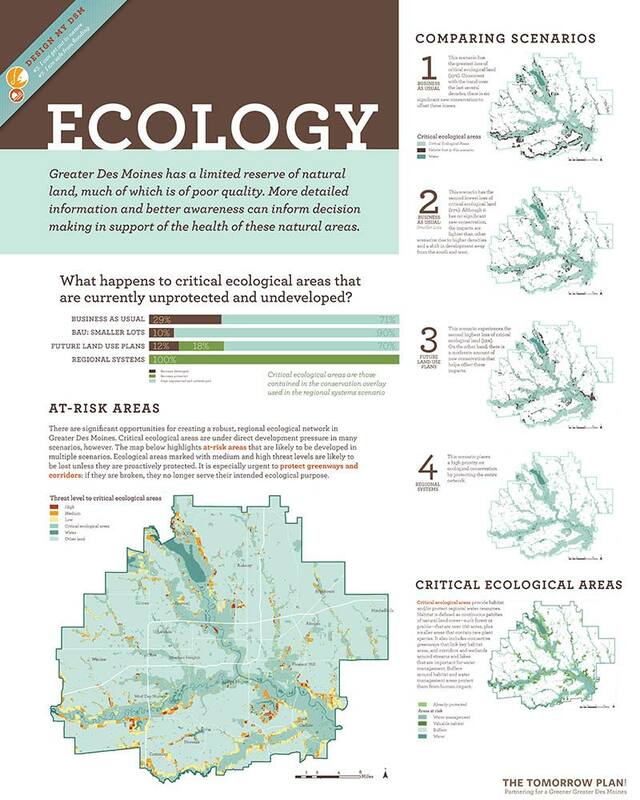 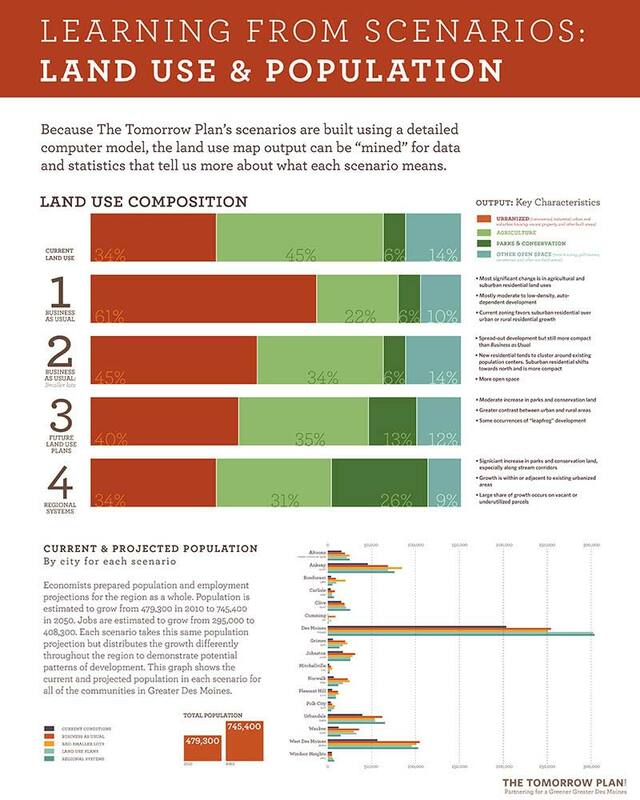 The Tomorrow Plan was a regional planning effort focused on the sustainable development of Greater Des Moines, uniting residents and local leaders in studying existing conditions, exploring possible future scenarios, and identifying a vision for sustainable development over the next 40 years. 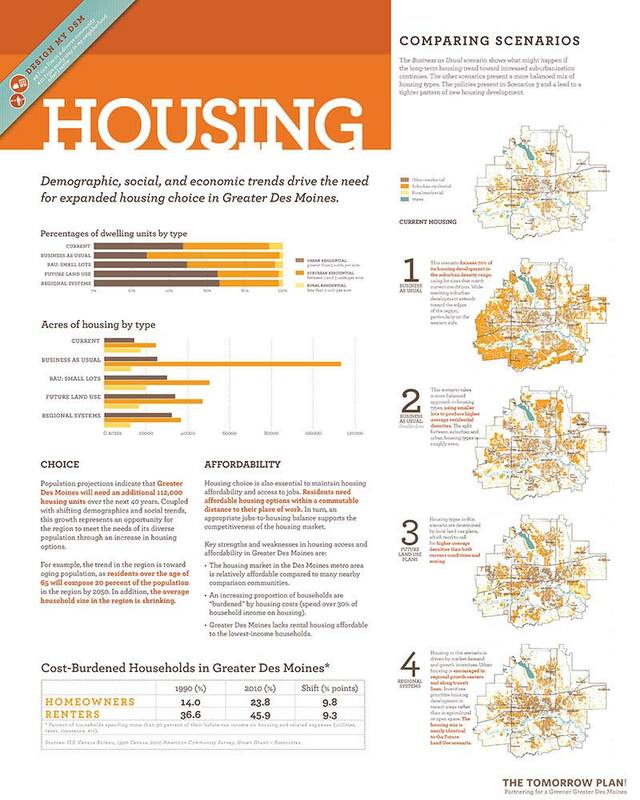 The Tomorrow Plan served the Greater Des Moines metro area, which comprised 542 square miles, parts of 4 counties, 17 cities, and approximately 500,000 residents. 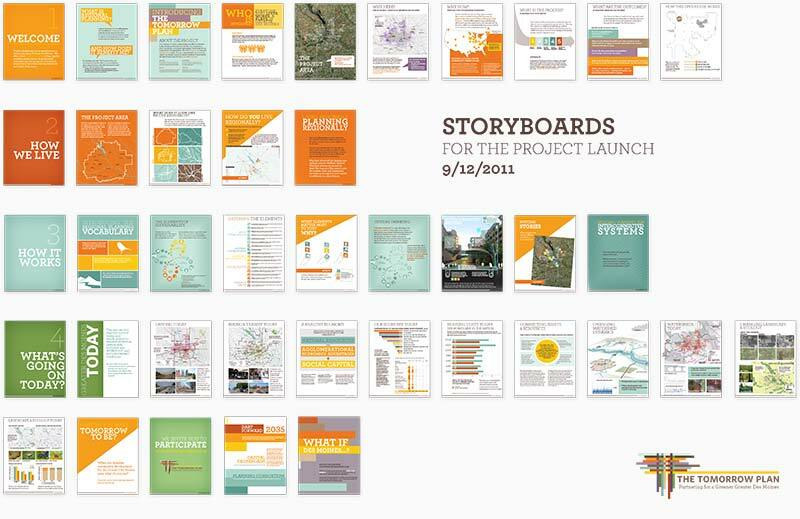 I participated this project from the early stages, as our team decided to bid for the project, writing up the conceptual approach and designing infographics for the proposal, and, when the Sasaki team won the project, setting out the early stages of what would become a complex, multi-year scenario planning process. 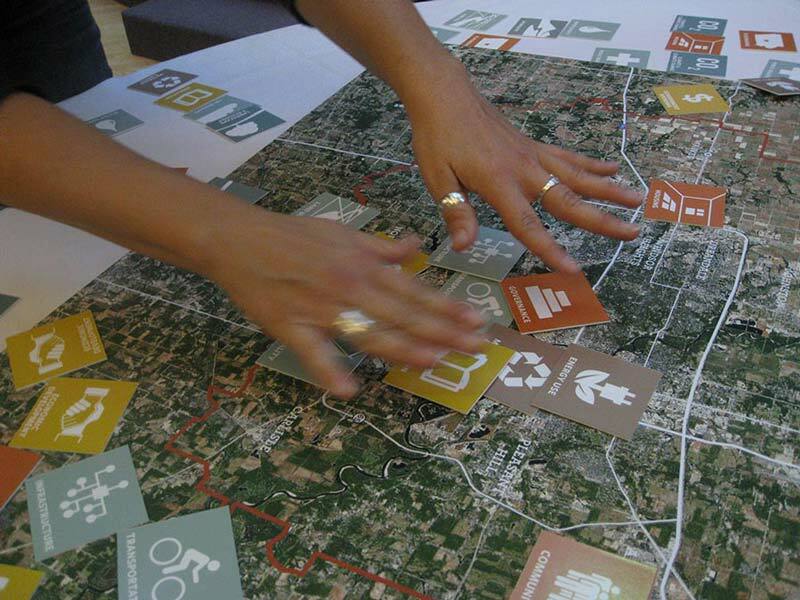 The two+ years of the planning process were enormously creative: designing nearly 100 open house boards, devising games for interactive workshops, and creating new online engagement tools, such as the Living Regionally Game and DesignMyDSM. 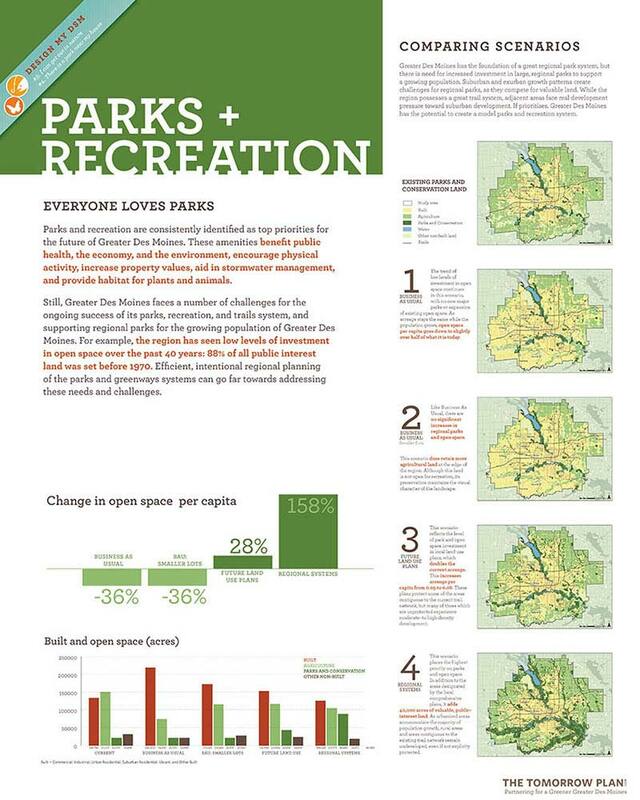 This project was ambitious in scale and timeframe, and our team took that challenge to heart. 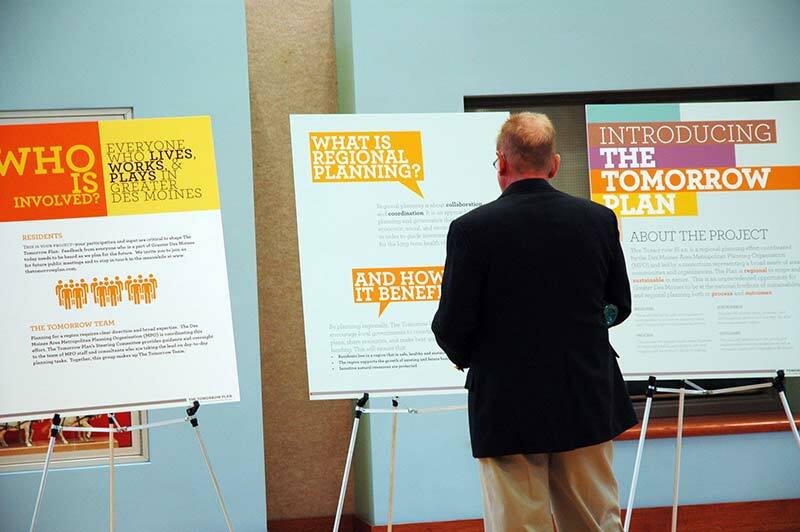 We hit the ground running with the Project Launch open house, designing 40 poster boards to introduce the project, define the scope of the study, and pose provocative questions to citizens of the region. 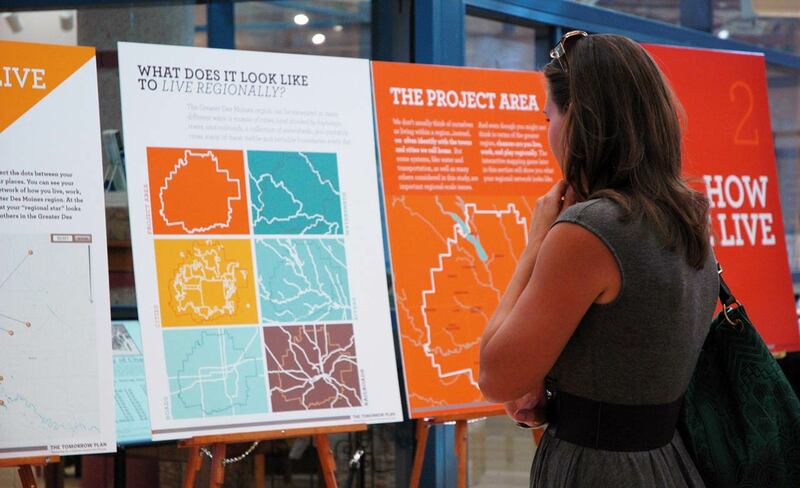 During the open house, I ran an interactive charrette game, asking visitors to tell a visual story about how they live, work, and play across the region.